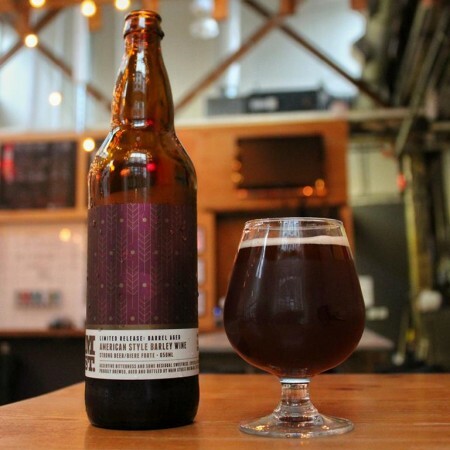 VANCOUVER, BC – Main Street Brewing has announced the release of a new limited edition winter seasonal. Aging in second use bourbon barrels for a year adds vanilla and oak character to our American-style Barley Wine. Melanoidin malt adds a biscuit flavour and Crystal Rye adds some spiciness, culminating in an assertive bitterness and some residual sweetness. Hopped with Columbus and Cascade hops for a dank/piney hop profile. Barrel Aged American Style Barley Wine is available now in a limited run of 650 ml bottles at the Main Street retail shop and select local liquor stores while supplies last.